Краткое описание: In Slalom you need to ski down different trails and beat the clock to move on to the next of the 24 trails. 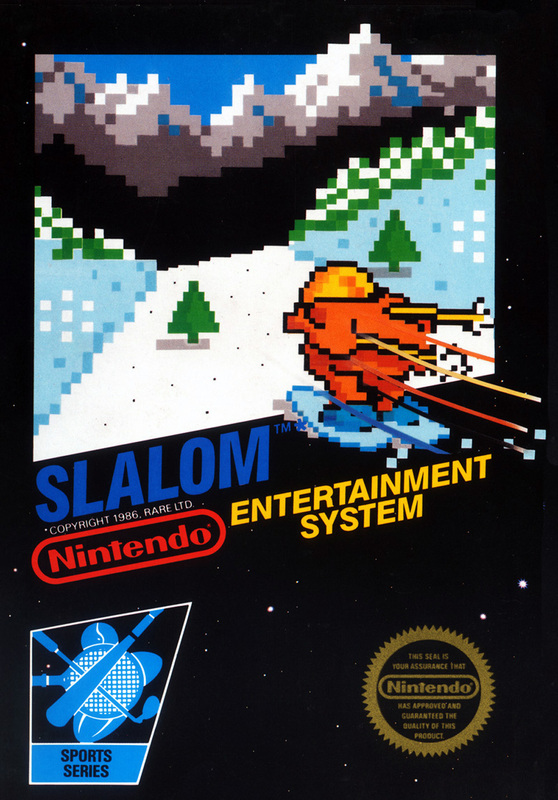 Other skiers, trees, snowmen, sledders, and moguls will get in your way and slow you down if you crash into them. Slalom flags are located throughout the trails, and skiing on the wrong side of these will cause your player to snowplow momentarily and lose speed, so to get the best times you need to make sure none of the flags are missed. In Slalom you need to ski down different trails and beat the clock to move on to the next of the 24 trails. 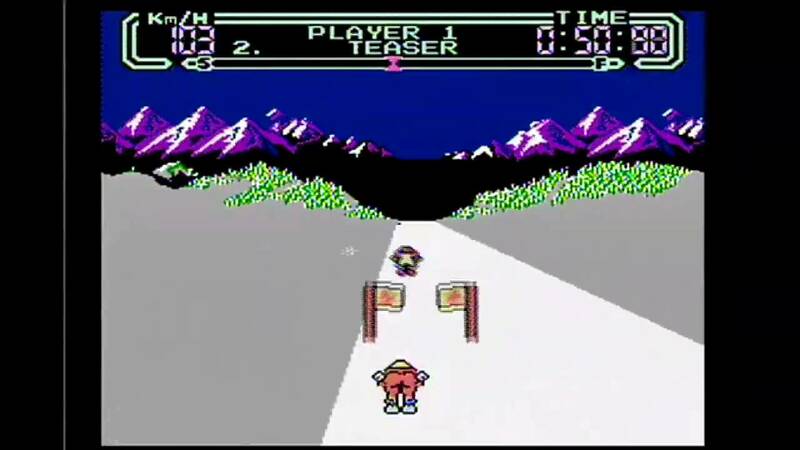 Other skiers, trees, snowmen, sledders, and moguls will get in your way and slow you down if you crash into them. Slalom flags are located throughout the trails, and skiing on the wrong side of these will cause your player to snowplow momentarily and lose speed, so to get the best times you need to make sure none of the flags are missed.